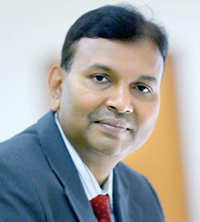 Sanjay Ramdas Dongre, EVP & Sr. Fund Manager, UTI Mutual Fund, is a B.E. (Instrumentation) graduate from College of Engineering and a PGDM from IIM Calcutta. He has been in UTI AMC since 1994. He started as a Debt analyst acting as a support service for fund management activity. He also worked as Equity Research analyst covering wide range of corporate and industries. Subsequently he worked as Equity Dealer, which involved handling all the activities relating to secondary equity market operations. Prior to joining UTI he has worked with Reliance Petrochemicals Ltd. as an officer in-charge of the Instrumentation Department. He manages UTI Infrastructure Fund (with an AUM size of approx. Rs1550 cr), UTI Master Plus (approx AUM size of Rs868) and UTI Leadership Equity Fund (approx AUM size of Rs563). *In the first week of May, 2014, UTI Mutual Fund announced the merger of UTI Masterplus Unit Scheme into UTI Leadership Equity Fund, with effect from July 10, 2014. Would you brief us about the investment philosophy of UTI Infrastructure Fund? How do you select stocks? My philosophy is to identify stocks with the potential to generate superior and sustainable profitable earnings growth over the medium term. Earnings growth is a long term driver of stock prices. Growth is a panacea for the ills faced by a company. Invariably, growth leads to better operating leverage and better cash flows leading to better financial position of the company. UTI Infrastructure Fund is a thematic fund. The Fund emphasis is on bottom-up strategy for stock selection. The Fund would be agnostic to market capitalization, however may take concentrated exposure to certain stocks Within the ‘Infra’ theme, the fund would be diversified in nature so that the fund exposure is not skewed in favour of one sector. The fund would always endeavour to reflect Infra theme in the composition of UTI infra Fund and would invest in the stocks/sectors which are clearly identified as related to the Infra theme. India being infrastructure deficit country, the portfolio composition of the fund would be mostly based on the medium term growth prospects. As regards to stock selection, the fund would look out for the ‘Growth’ which may lead to better utilization of resources leading to better earnings growth, hence improvement in the profitability ratios and cash flow generation. How do you see the valuations at this juncture in Infrastructure sector? Construction: After the correction in the last six months, the valuations of most of the construction companies are becoming attractive at about 12-14 times of its FY20 earnings. These companies in the construction sector has order book which is 3-4 times their annual revenue which imparts visibility to revenue growth in the medium term. Cement sector: Valuations of cement sector is on higher side vis vi historical valuations. In the near term, profitability of the cement sector is likely to be negatively impacted on account of higher fuel and power cost. In the medium term, lower supply additions and revival in demand on the back of recovery in growth in the economy may lead to reduction in supply–demand gap which augers well for pricing environment in sector. Industrial manufacturing: Valuations are in line with the historical valuations. Post demonetisation and GST implementation, the recovery in the capex cycle is likely to be slow and gradual. Energy: Companies involved in gas supply chain are expected to be big beneficiary on account of favourable demand supply environment in LNG in future. Volume growth can further improve the valuations of companies in the gas sector. What is your assessment of the earnings in infrastructure for FY18 and Q1FY19 so far? And do you think the infrastructure sector will outperform the broader market in FY19? Earning witnessed in the infrastructure sector in 1QFY19 were better than earnings of last three years. Corporate oriented banks provided the glimpse of normalization of profitability in the sector. Companies in the construction sector grew revenue and profits in double digit on the back of strong order book. Though the volume growth in cement sector was strong, increase in price realization was benign which impacted the profitability of the sector. Companies in the gas sector continued to exhibit strong volume growth and double digit profit growth. So when we look at the market from valuation perspective it is quoting at 18 times one year forward earnings. The average market multiple of last 10 years is about 16 times. Currently markets are trading at above the average levels. So to that extent valuations are not cheap. Looking at deteriorating macroeconomic environment, further re-rating of the market is ruled out. Hence high earning growth is essential for sustenance of current market levels/valuations. As the infrastructure sector is expected to witness higher earnings growth in next 2-3 years, it may outperform the broader market in the medium term. What is your assessment of macros with CAD widening, inflation rising and RBI increasing interest rates? How do you see this impacting the infrastructure sector? Macroeconomic environment in our country is undergoing a change. Inflation and interest rates have bottomed out. Today they are 125-150 bps higher than what they were prevailing a year back. Current account deficit is almost 1.6 percent. The benign economic environment that we have been witnessing in the last 3 years is not going to remain benign anymore. Most of infrastructure projects are capital intensive in nature. Hence higher interest rates and Rupee depreciation tend to impact negatively. However, the benefits of high economic growth and faster execution far outweigh negative impact of higher interest rates. With general elections in May 2019, what do you think where market is shaping up in the coming quarters? Event such as general election and speculation about government formation tend to impart high volatility in the market in the short term. In the medium to long term, factors such as earning growth, return on capital employed, positive cash flow generation impact the market positively or negatively.